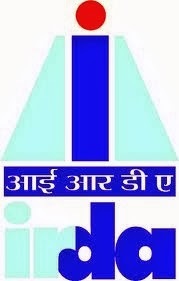 The Insurance Regulatory and Development Authority (IRDA), on Thursday, announced to raise the investment ceiling for both life and non-life insurers in the infrastructure debt funds up to 20% from 10% of Assets Under Management (AUM). The directive of the regulator came after the receipt of an application from India Infra debt seeking approval of the issue of Rs 500cr Non-Convertible Debentures (NCDs) to consider as investment in the infrastructure sector by insurance companies. This decision of the regulator will help in greater amount of fund flow to infrastructure sector, which according to the expert, needs a huge investment of about USD one trillion during the 2012-17 period. In the amendment to the IRDA (Investment) Regulation, 2000, notified in February this year, the regulator specified that investments in infrastructure debt funds backed by the Central Government shall be reckoned as infrastructure investment on a case-to-case basis.